Homemade Protein Powder! 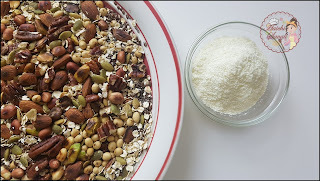 I get asked about homemade protein powder recipe and today I am sharing my recipe here. 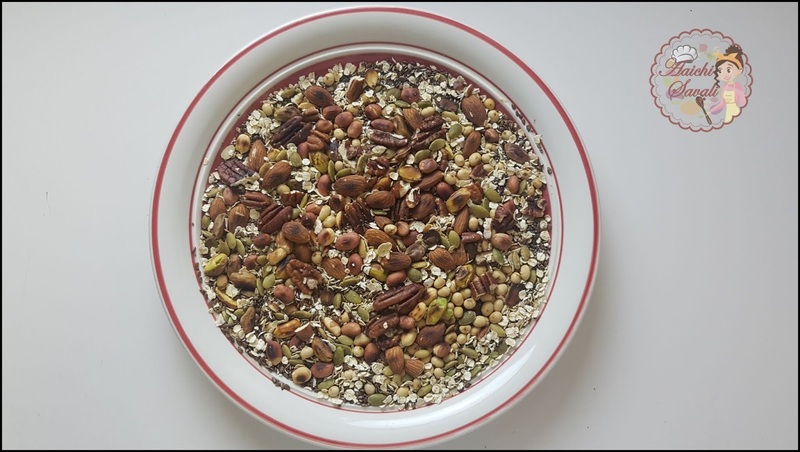 This is a perfect blend of seeds nuts and beans and is super healthy and no sugar protein powder made at home. It is best to get all the macronutrients and micronutrients through your diet. Homemade protein powder is a good way to quickly get all sorts of protein. They take less than 10 minutes to make and are super healthy and delicious. However, many well planned vegetarian and vegan diet can provide you with all the essential nutrients you need. The vegetarian and vegan diet is the diet that might lack sufficient protein. So here's the wholesome recipe to prepare homemade protein powder, here I came up with using convenient and nutritious items: milk powder, dry nuts, and seeds. Protein is an essential macronutrient in human diet that helps repair tissue, build enzymes and hormones, build and tone muscles and strengthen, repair or replace tissue. It also aids in weight loss. There are dairy-based and plant-based protein powders. Today I am sharing here how to prepare dairy based homemade protein powder from scratch. This can be your high quality, clean and homemade protein powder that tastes good. This protein powder is an easy way to add more protein to your diet and helps to weight loss. They can be a convenient addition to the diet. 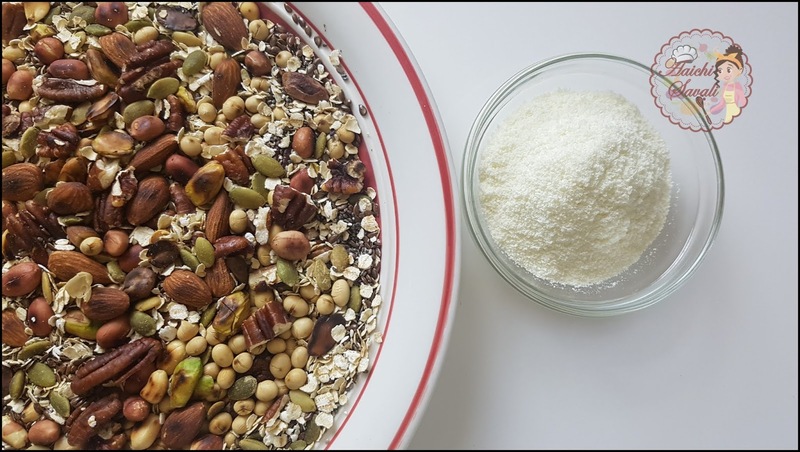 To making this lean protein powder I have used healthiest ingredients like nuts (almonds, pistachios, walnuts, and peanuts), seeds(pumpkin, flax, and chia), soybeans, oats, and milk solids. So let's see how to make it! How to Make a Protein Powder? 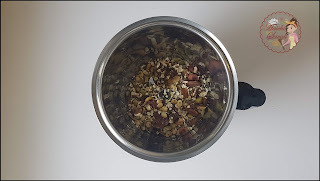 Making a protein powder is easier, you need to just dry roast all the nuts and seeds and transfer everything into the blender along with milk powder and blend until smooth. Sieve grinded powder and it's ready to go into milkshakes, smoothies, flatbreads, pancakes and there are many ways to eat it. Dry roast almonds, pistachios, walnuts and peanuts for 2-3 minutes on medium to low flame and let it cool down. Dry roast flax seeds for a minute and let it cool. 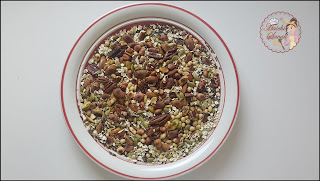 Dry roast pumpkin seeds, chia seeds, soybeans and oats for 2-3 minutes on medium to low flame and let it cool down. Grind/ blend roasted nuts, seeds, and milk powder and grind/ blend to make a fine powder. 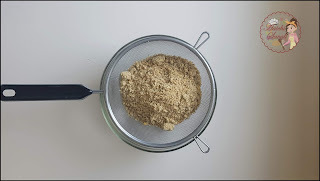 Sieve grinded powder to get fine flour/powder like consistency. Homemade protein powder is ready. Enjoy!!! For Pregnant and Breastfeeding Women: 71 grams a day. Stimulate protein synthesis which is essential for muscle growth. Protein powder helps to speed up recovery from muscle soreness after exercise. May lower blood pressure and help to treat diabetes (type 2). Protein also work as neurotransmitters. Throughout the day to get your daily protein requirements. Can I use this protein powder for weight loss management? Yes, with a low-calorie count, low carb and high protein you can use to shed some extra body fat. 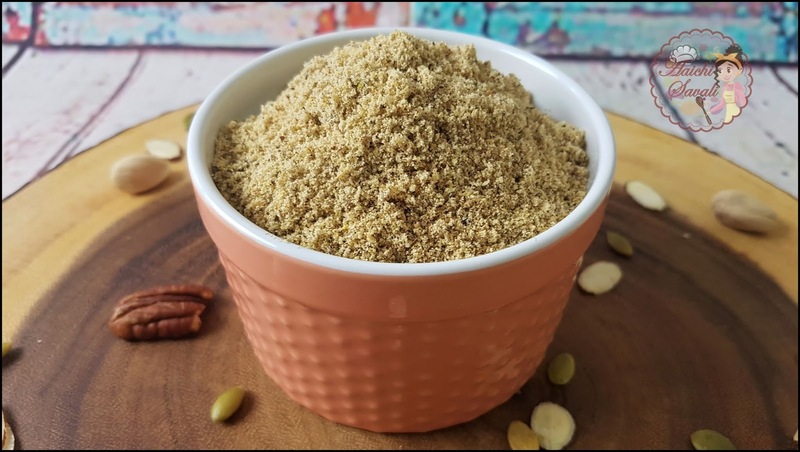 How to incorporate this protein powder in your meal? Mix 2 Tbsp of protein powder to the wheat, jowar flour and knead to make the dough and prepare flatbreads. Mix 1 Tbsp of protein powder to the cup of warm milk. Mix 2-3 Tbsp of protein powder to the pancakes, dosa, idli batter. Mix 1 Tbsp Protein Powder with fruit and vegetable smoothies. How many grams of protein are per scoop? It contains 10.5 g of Protein per scoop(32-35g). How many calories, carbs, dietary fibers, and sugar are in one serving(1 Tbsp=approx.10 g)? This homemade protein powder contains 45 calories, 2.56 g carbohydrates, 1.49 g dietary fibers, and 0.49 g sugar. 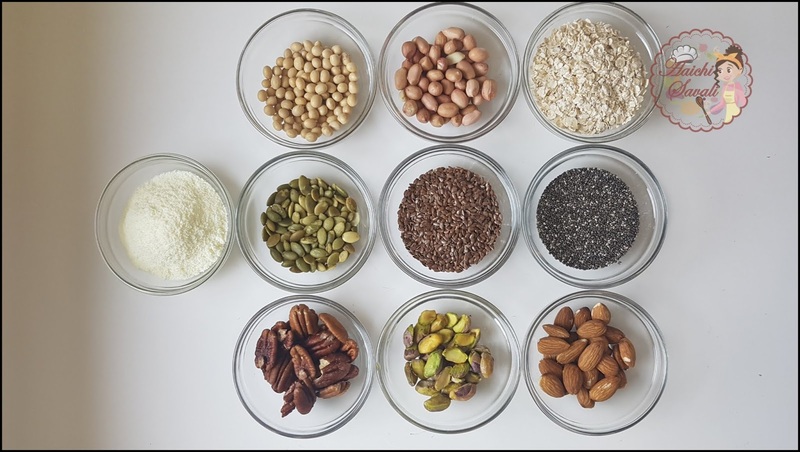 How to store it and shelf life of homemade protein powder? Store it in a dry, clean and airtight container. Once prepared you can use it up to 3 weeks at room temperature. If refrigerated, you can use it up to 1 ½ month. don't forget to share your thoughts with us and if you prepare it to share your picture.